7digital What we said: Acting as an acid test for the British music biz, the BRIT Awards are all about celebrating the most successful acts of the past 12 months. Looking at the length of this year’s official comp, it seems our industry’s in rude health. 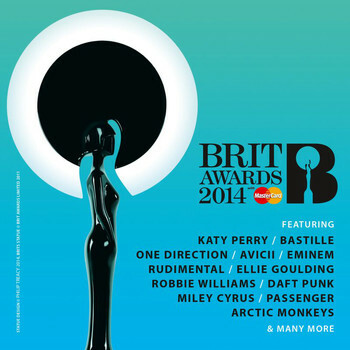 Download a mammoth, 3-discs’ worth of hits from all the contenders, including homegrown acts Bastille, Arctic Monkeys, Ellie Goulding, and international nominees Daft Punk, Avicii and Katy Perry. © 2014 Universal Music TV, a division of Universal Music Operations Ltd.